JPNSI’s leadership held a town hall Wednesday to present their findings and proposed policy changes. Jane Place staff have been tracking short term rentals for three years using three data sources: data scrapes from Inside Airbnb; the city’s own public permit database; and open records requests from the city’s attorneys office. In 2015, Uptown had 44 whole-home short term rentals. In 2018, that number jumped to 93, a 111 percent increase. Whole-home rentals in the Irish Channel increased by 188 percent in those three years, while the Garden District saw a 300 percent increase with a total of 36 whole-home rentals in 2018. 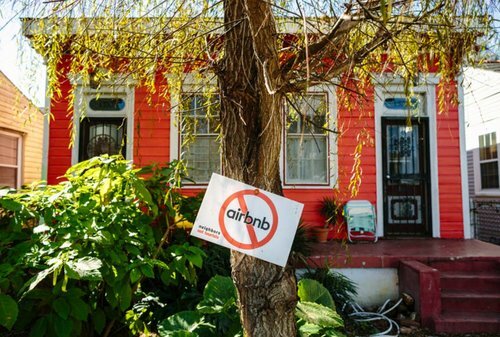 JPNSI have identified several ways short term rentals are damaging housing stock in the city, ranging from the oversaturation of STRs in residential neighborhoods to an overall inflation of housing costs, which pushes people out of their family homes and into other parts of the city. Nearly 85 percent of STRs are whole home rentals, DeDecker said, which eliminates an enormous amount of the city’s housing stock meant for locals. Loaded with fresh data, JPNSI have proposed five key policy changes to add affordable housing stock back into New Orleans while reducing the “further corrosion of residential neighborhoods by STRs.” Staff are in conversations with stakeholders – including renters and incoming city administration – with the goal to unveil a new short term rental ordinance in June. “Our intention is to be as transparent as possible, and to include all these stakeholders during the process,” DeDecker said. Read the full story, including JPNSI’s policy recommendations, at MidCityMessenger.com.